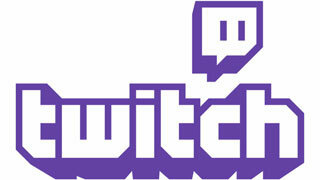 Twitch streamers may soon be able to offers up multiple tiers of subscriptions if a leaked email turns out to be accurate. If you've always wanted to support your favorite Twitch streamers, but don't like giving through sites like Patreon, you may soon be able to up your subscription directly through Twitch. 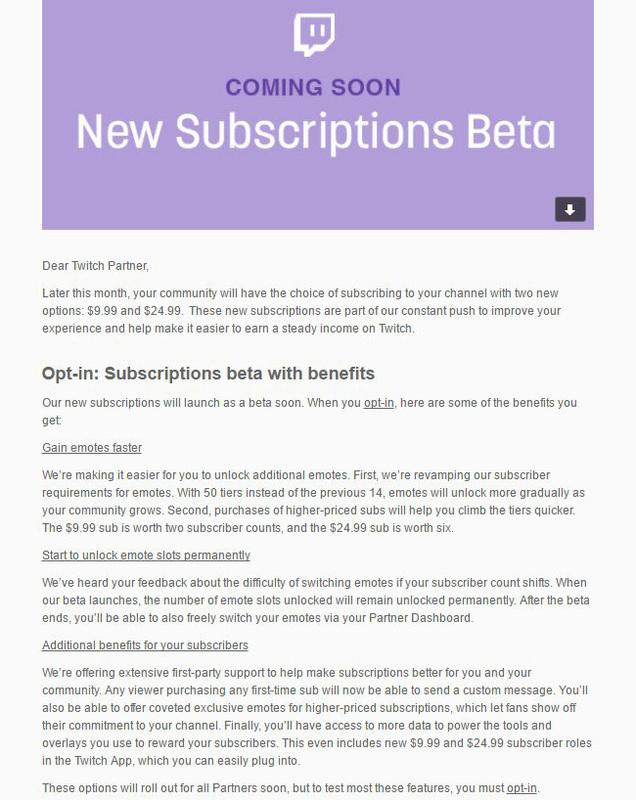 An image of an email that purports to be from Twitch has popped up on Imgur (and is embedded below), and if it's accurate, we could see new subscription options hit the site later this month. The email explains that Twitch partners will soon have the option to add a $9.99 and a $24.99 subscription tier to their channels. There is also mention of additional subscriber benefits, including exclusive emotes for higher subscription tiers, for example. "Reads partner email, thinks back to percentages established in Twitch contract." "It's incredible. We were just talking about this today actually. This will eliminate the need for Patreon and stuff." "I'm a little... I dunno. Unsure of the new Twitch email that partners just got." "I'm hoping the latest Twitch email re-subscription changes means being a middle-size streamer makes it more viable to go full time." If those comments are real, they would seem to show that there are plenty of mixed opinions about the planned addition. Of course, you can expect that users will have mixed feelings as well, especially is their favorite streamers lock features behind higher tiers, as is likely to happen. The email also mentions some nice changes for channels that opt into the subscriptions beta, including gaining emotes faster and permanently unlocking emotes even if subscriber counts shift. We've reached out to Twitch to see if the company will comment on this email, and will update this story with any response we receive. Until then, how do you feel about the option to have multiple subscription tiers? Are there streamers you'd be will to pay $25 a month to?